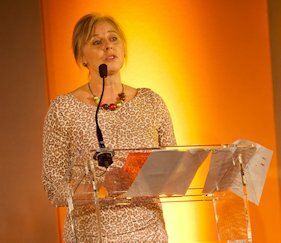 Professor Wendy Tindale, D4D’s Clinical Director, will speak at an event in January 2013, having already played the role of compere at the Medilink Yorkshire & Humber Healthcare Business Awards in November (see picture). These events follow on from D4D’s Assistive Technology Lead, Professor Mark Hawley, presenting as the key-note speaker at November’s RAatE conference in Warwick. RAatE 2012 is the only UK conference focused on the latest innovations in Assistive Technology.